The WPT gets off to a great start next year with a slew of exciting events taking place in the first two months of 2017. First up is the WPT Borgata Winter Open in Atlantic City with a festival starting January 17. The C$3,300 + $200 Main Event runs January 29 to February 3 and comes with a $3 million guarantee. 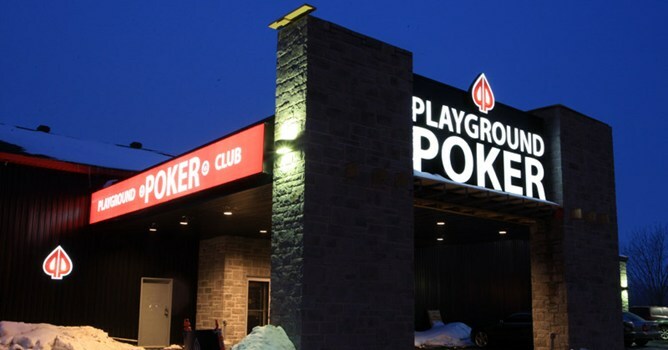 Towards the end of the month, the partypoker WPT Playground Winter Festival kicks off at the Playground Poker Club, located less than twenty minutes south of downtown Montreal within the Mohawk Territory of Kahnawake. The festival kicks off January 29 with the C$3,200 + C$300 Main Event running February 10-15. There will be two start days with a single re-entry option per day. The WPT will be staying in Canada for its third event of 2017 as it heads to Niagara Falls and the spectacular Fallsview Casino Resort (pictured above). The dates for the overall poker festival are February 17 - 24 with the C$4700 + C$300 WPT Fallsview Poker Classic Main Event starting February 22. Fallsview Casino Resort, dubbed Canada’s largest and most elegant gaming resort, is built on a cliff overlooking the world-famous Niagara Falls. As well as a gazillion slot machines and table games alongside a luxury hotel, Fallsview also has a 1,500 seat theatre so, if you tire of poker (or bust! ), you can always go check out the Michael Jackson-themed “Man in the Mirror” show (February 17-19) or see award-winning comedian and actor Chris Rock (February 22-24). WPT fun continues towards the end of February with the WPT LA Poker Classic at the Commerce Casino. The prestigious $10K buy-in Main Event runs February 25 to March 3 and is set to attract the biggest players in the world. Last year, WSOPE bracelet winner Dietrich Fast from Germany took it down for a career-best cash of $1,00,800.